Woods did overcome both of those things. Professionally, he struggled as a competitor over much of the past decade. He suffered a back injury that caused him to miss major tournaments, and which may have led to his 2017 arrest for driving under the influence of prescription painkillers. Personally, of course, the “adversity” he overcame was much more sensational. In 2009, the National Enquirer reported that he’d had an affair with a woman who worked as a VIP host at New York night clubs, and the story quickly evolved from there — more than a dozen women came forward to allege that they, too, had had affairs with the golfer. There was a car accident, in which Woods crashed his Cadillac Escalade near his house and was pulled from the vehicle by his wife. He was subsequently dropped by a number of his high-profile sponsors. But not all of them. Any definition of the word “adversity” would have to include Tiger Woods’s late 2009 and early 2010, certainly, but the way we use that word in describing sports heroes misses a lot of nuance. When we talk about adversity in the context of sports, we almost always treat it as an external force — cancer, the death of a loved one, extreme poverty, maybe a serious and dramatic injury — and cast the athlete who battles it as the protagonist. We like our sports narratives to be clean morality plays. But casual observers are a lot more likely to remember Woods crashing his own car into a tree at 2 a.m. than they are a string of back surgeries. The adversity Woods is famous for overcoming, in other words, wasn’t something that happened to him. It was something that he did. When it comes to how we talk about sports, though, our hero’s journeys and redemption narratives are decidedly uninterested in making that distinction. That’s true in the case of Woods, but he’s hardly the first example. In sports media, “adversity” is flattened into a generic obstacle that, when it’s overcome, serves only to reflect even greater glory on the hero who triumphed over it. The adversity Woods is famous for overcoming, in other words, wasn’t something that happened to him. It was something that he did. Last week, when the Baylor Lady Bears won the NCAA Women’s Basketball tournament, former NFL quarterback Robert Griffin III — one of the school’s most beloved alumni — tweeted his congratulations using the frame of overcoming adversity. “After all @BaylorAthletics has been through over the past few years, it’s cool to see the nation celebrate this National Championship with us,” he wrote — referring to the massive sexual assault scandal that originated in the university’s football program in 2015. Of course, Baylor Athletics hadn’t so much “been through” something terrible as it had been responsible for something terrible. The university’s president, its athletics director and its head football coach all either resigned or were fired as a result of the scandal. But when the school claims a championship, it’s easy enough to cast all of that as just the obstacle that provides dramatic heft to the triumphant third act. Similarly, in 2011, with the Pittsburgh Steelers on the verge of a Super Bowl berth, a CNN story highlighted quarterback Ben Roethlisberger’s “Road to Redemption,” a path that started with multiple sexual assault allegations and apparently was paved primarily by a handful of clutch performances on the field. There’s seemingly no adversity that can’t be overcome by succeeding on the green, the court, or the field. There’s seemingly no adversity that can’t be overcome by succeeding on the green, the court, or the field. The day after Kansas City Chiefs linebacker Jovan Belcher murdered his daughter’s mother and then shot himself in front of two of the team’s coaches, a Sports Illustrated column about the game by venerable NFL writer Peter King was peppered with quotes from players about how “I’d like to think maybe I had some help, somewhere, from No. 59,” as though Belcher had been the victim of a tragic accident and not the perpetrator of a murder-suicide that left his daughter an orphan. The offenses above are certainly graver than the slew of affairs that Woods admitted to in a televised statement in February 2010. In the #MeToo era, a famous man being brought down by a string of consensual encounters with women other than his wife seems almost quaint, like learning that bicycles were once considered a sign of depravity. 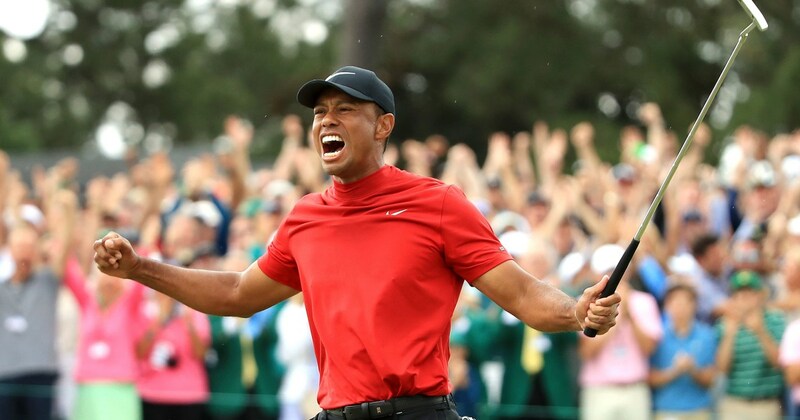 So if you’re moved to cheer for Woods, by all means, go ahead — but let’s not treat the choices he made as further proof of his greatness, or treat his victory on Sunday as though it erases his past mistakes. We love our dramatic sports narratives of triumph and glory, and we want the victors to be worthy of them. These stories are what give games meaning beyond a final score. Ultimately, though, the scoreboard doesn’t care how anybody treats other people. And we shouldn’t look to it for guidance when deciding who has or has not been redeemed. Dan Solomon is a writer based in Austin. His work appears regularly in Texas Monthly, Deadspin, and elsewhere.